May 13, 2015 - The Southwest Airlines Pilots’ Association (SWAPA) on Tuesday announced staffing and funding for a Strike Preparedness Committee. 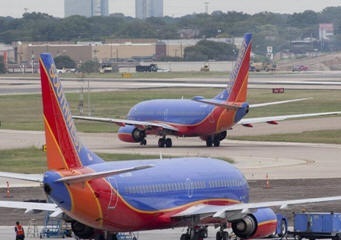 The committee will work closely with professional outside consultants, staff, other committees and resources of the union to prepare the pilots of Southwest and the flying public for all contingencies available under the Railway Labor Act (RLA) if SWAPA and Southwest Airlines cannot come to an agreement on a new contract in the coming months. The pilots and company have been engaged in federally-mediated talks through the National Mediation Board (NMB) since November in hopes of closing out remaining open items including pay, retirement, scheduling, and job scope. SWAPA’s Strike Preparedness Committee is structured to and tasked with educating SWAPA members and the general public on future steps of the negotiating process, formulating contingency plans for potential job action situations, and maintaining relationships with other airline groups who have self-help experience. They will work in conjunction with the Outreach Committee, which will host events nationwide to talk to pilots and their families about the status of negotiations and the preparations needed should negotiations not come to a conclusion and SWAPA is released by the NMB to proceed to self-help.